During the day it is possible park on Jermyn street and the surrounding streets via a telephone parking system, however, these spaces are very limited and maximum stay is only for a short length of time. After 6.30pm the parking is free. An NCP car park is within 5 minutes walk of the restaurant. Wiltons is located in between Green Park Tube Station (Victoria Line, Piccadilly Line and Jubilee Line) and Piccadilly Circus Tube Station (Piccadilly Line and Bakerloo Line). Wiltons "At Home" service can provide private dining in your own home or for larger parties at outside venues. 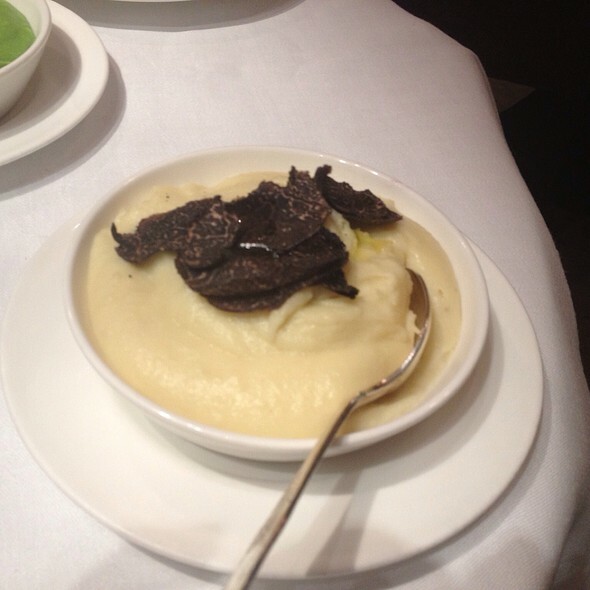 Wiltons, established in 1742, has consistently enjoyed a reputation as the epitome of fine British dining in London. George William Wilton provided the finest oysters to the traders of London"s Haymarket. Today Wiltons continues that tradition and continues to serve the finest oysters, seafood and game. Wiltons combines a modern philosophy on service with all that is traditionally British to create the perfect dining experience. If you are making a reservation for groups of 6 or more, please contact Wiltons directly. Should you have any special requests i.e birthday cakes or champagne, please contact Wiltons directly upon making your reservation. We politely ask that gentlemen wear long sleeved shirts and long trousers, no sportswear or open toed sandals. Excellent food and service. Expensive, but well worth the money. It’s a wholly civilised and cultured experience. The servers are appropriately attentive and amenable. It’s also reassuringly expensive and worth every penny. Outstanding. My favourite restaurant in London. We will be back. Thank you. Was pleasantly surprised seeing that most restaurant’s customers respected a dress-code. A quality place to invite business partners or family and friends to. Not cheap but this brings certain clientele. The only thing missing for me was no music. Some quiet relaxed jazz (Marc Johnson, for example) at the background would be nice and suitable for this venue. Food was delicious and they have a good choice of wines. Wilton's is always a pleasure to dine with. Their service, food and atmosphere is impeccable. Service that went above and beyond, lovely wait staff, fab food, all served with old school charm and flair! We had a great night, it was my first visit and it certainly won’t be the last...thank you! If I had to dine at just one restaurant anywhere in the world for ever more it would be Wiltons. This is just a fun place to eat, if you are looking for an old-school experience. Great staff, good food and beautiful restaurant. We really enjoyed ourselves. Thoroughly enjoyed the evening! Will recommend to anyone! 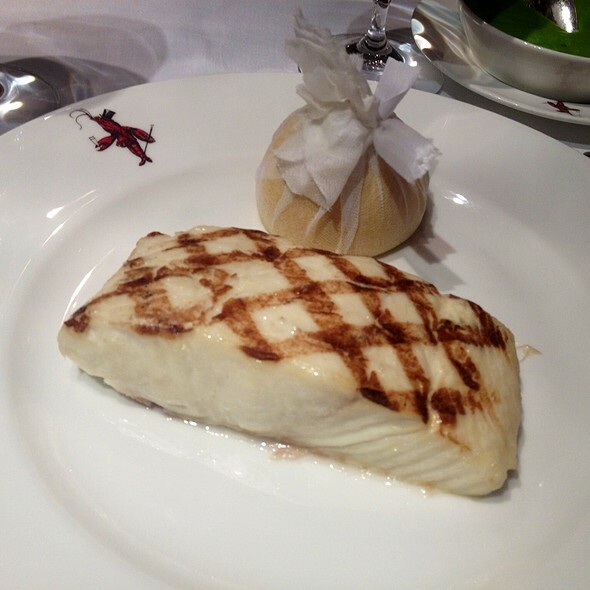 The beef Wellington and Dover sole were truly special and the service outstanding. A memorable dining experience. The best restaurant in London without question. Impeccable service in the best tradition, only possible in an establishment owned by bankers who presumably don't expect it to be a major profit centre. Very nice evening in a restaurant that makes you feel part of history: 277 years. Hopefully many years still to come. Btw great food, attentive staff, nice wine. Great food and atmosphere! Really love this place! Wilton’s was a classic restaurant with great seafood and service. The wine list was extensive and the fish was the best in town. As usual Wilton’s hospitality and food quality is second to none. I love this restaurant and consider it the best restaurant in London. The Wilton’s experience is unparalleled! Immaculate service is the norm so this visit was slightly disappointing in that we had to call the waiter a couple of times. Food was excellent but the menu was more limited than I remembered. We arrived early for a pre theatre dinner. We were welcomed, led to the bar and offered a drink. The menus appeared, and explanations offered. My partner asked about the dove sole, but chose the plaice. I chose smoked salmon (delicious) , from the winter menu, followed by a meaty and excellent skate served with crunchy topping of spring onions lemon and herbs. Ultimately we were told that the plaice was not available, but the very efficient and charming head waiter offered fried filets of Dover sole, instead. With chips and some spinach,, we enjoyed a real treat. I had a glass of Sancerre, whilst my partner took a glass of the house Chablis:crisp flinty and flavoursome. We refused dessert, but enjoyed the chocolate truffles for a little sweet taste at the end of a very pleasant meal. Although we needed to be finished and ready to leave by 6.50pm, were never felt to be rushed, the waiter merely asking when we arrived if we were going to the theatre that evening. Very good, old school experience. We really enjoyed the food. Lovely (vegan) mushroom and ale pie. We also loved the good choice of vegetable side orders. Valentines Day evening meal at Wiltons. First time eating here and had an outstanding time. The food and service was second to none. Will definitely be adding this to the list to return to in the future and would highly recommend if you have not been before. Phenomenal food, phenomenal staff, simply great. Thank you. We had a great night at Wilton’s. They really understand that they are in the hospitality business and the whole experience reflected that. The Food was very good, the service excellent. Wonderful experience will definitely be back and certainly would recommend. An understated elegant dining Romney with superb service and wonderfully prepared food. Not a lot more to say really, except I’ll return soon.. Important dinner for me, joined by senior leadership of our firm and top customers. Thanks to the staff. They were all fantastic. Superb service and all smiles. Tip of the hat to the manager for selecting and developing a great team. I'll be back when I next return to London. All the best. Wiltons is what it is. I would go there every day if I could afford to. Nearly everything was perfect ….the oysters, the plaice the Swiss wine Petite Arvine (very difficult to find this one). Top marks all round. Never fails - always excellent and over many years, I’ve never been disappointed! The Honey glazed gammon from carving trolly was to die for!! Perfect dinner, delicious cocktails, lovely service. Amazing all around. Wilton’s is expensive as it should be given its location and quality. We go because of the traditional English food, and particularly the fish. Also because it’s very civilised experience (unless you’re on one of the tables jammed in the aisles. They really should be removed even though it does mean the loss of some covers.) We we’re fortunate enough to have been given a lovely quiet, comfortable booth. On this visit, the potted shrimps, large Dover soles, creamed spinach, female sommelier-recommended St Aubin, crème brûlée, and coffee, salted caramel and vanilla ice creams, were all marvellous. Service was efficient and sweet. The only duds were a deconstructed prawn cocktail that had obviously been formed in a large pastry cutter. They should leave this nonsense to lesser restaurants. We all know what a good prawn cocktail should look like, and contain, namely a wide glass layered with a chiffonade of lettuce, a good heap of hand-peeled North Atlantic prawns - not tiger prawns - all napped with a proper Marie-rose sauce. A garnish of lemon and/or cucumber and a dash of cayenne are acceptable. The small loaf of bread looked great but was also disappointing, being a bit stale. With two glasses of decent house champagne and two whisky sours the bill was £350 including service. A lot for two but it was our Christmas present to ourselves and we thoroughly enjoyed our evening. Exquisite food, always excited to come to this wonderful London institution. Calm, grown up and posh but in such an understated way.